Run by the members of staff at the Education Development Building, University of Sussex, Brighton. 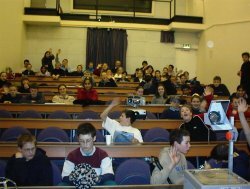 'The aim of the Sussex Masterclasses in Technology is to provide children aged 13-14 years with an awareness of the research, development and testing procedures used by technologists in all aspects of engineering and associated industries. 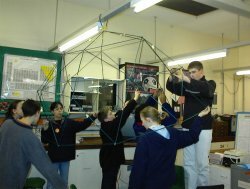 Showing how the knowledge of physical laws, properties of materials and systems of control are applied to achieve these ends. Over 60 pupils from 16 schools in East and West Sussex participate in the series of Masterclasses.